The Iowa District Office of the U.S. Small Business Administration has named the city of Sioux City as the recipient of its 2016 Iowa SBA Small Business Community of the Year Award. This is the second year for the award, which highlights community efforts to support small business. Sioux City was selected for demonstrating an ideal collaborative environment for small business success. Initiatives that Sioux City was recognized for included Startup Sioux City, a collaborative effort between private and public interests to nurture and encourage entrepreneurship within the city. Sioux City’s leveraging of federal, state and local government, higher education and community resources was also recognized for helping the city create an ideal small business culture. 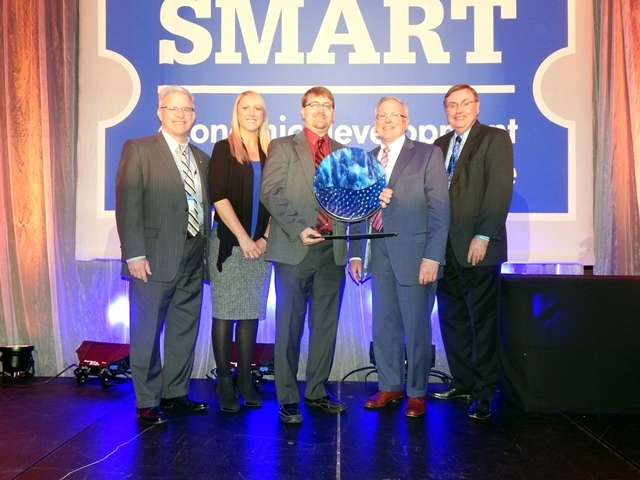 The award will be presented to Sioux City at the Iowa Smart Conference in Des Moines on April 28th. Sioux City will also be recognized at the SBA’s 2016 Small Business Week Reception held in West Des Moines on May 6th. The SBA also plans to re-present the award at a special ceremony in Sioux City at a later date this spring.